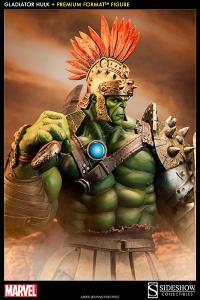 I have both Gladiator and King Hulk...I'm so lucky I bought both. These statues are BREATHTAKING displayed together. 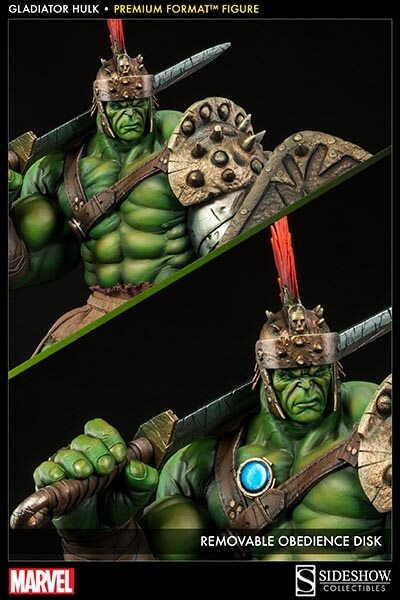 Sideshow SMASHING us good with these Hulk Premuims. 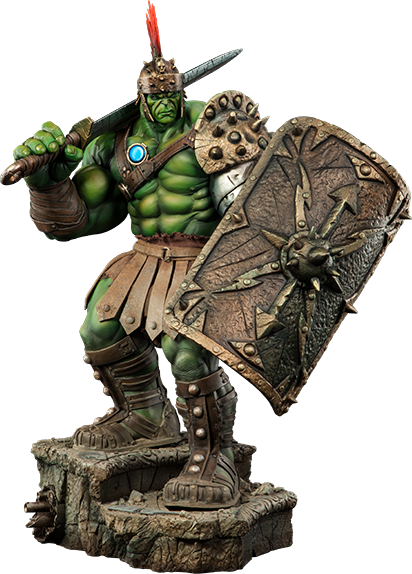 Just waiting for the Gray Hulk and we are set....for now!!! 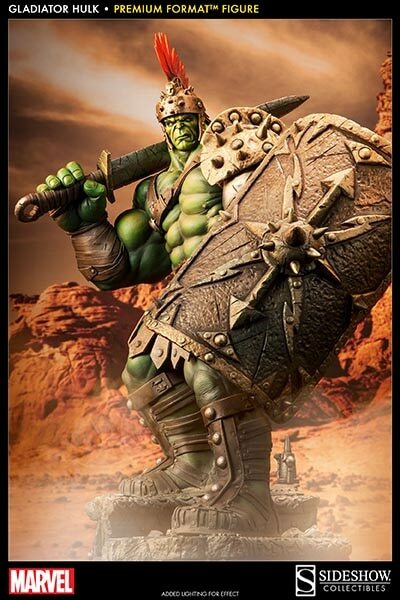 I just bought Gladiator Hulk a couple of days ago and I've never seen a piece stand out the way this one does. It's menacing in a good way and every time Iook at it, ( which is a lot ) I can't help but to feel it belongs in a museum. Many thanks to the good people at sideshow for doing gladiator hulk more than enough justice! Also gratitude for having payment plans you guys rock! 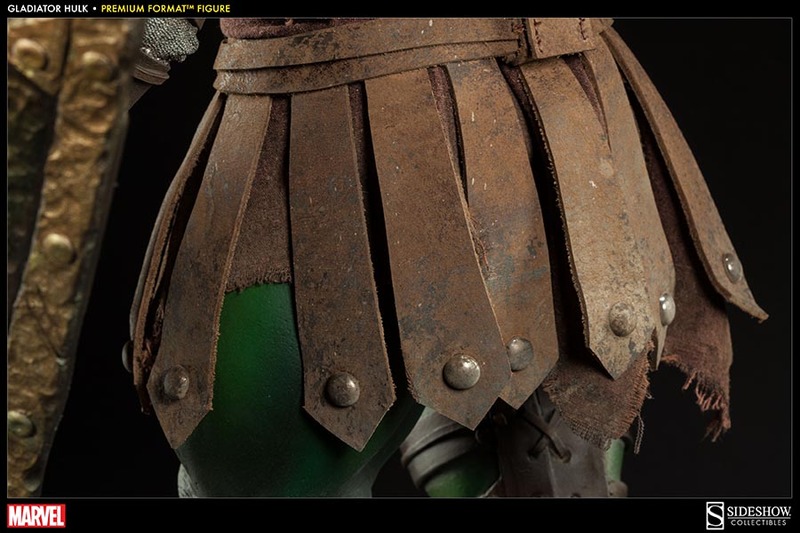 Phenomenal detailed work and paint I appreciate all the work that went into it. Everything a HULK should be, thanks again guys. Beautiful Statue. Paint application is perfect and looks so alive. I would highly recommend. This was my first purchase and it is a fantastic statue.I watched video reviews and looked up pictures but neither do justice to this figure. 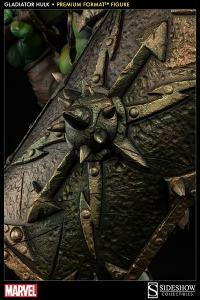 Fierce and unbeatable and looking to smack down all those who get in his way. Gladiator Hulk is tall, heavy and meticulously painted. 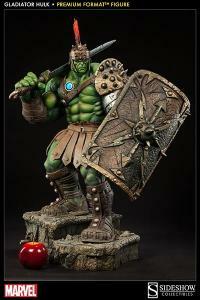 This statue will dominate your display it is impressive and comes in a gorgeous box. I've been collecting statues for a few years now and I've built up a nice collection. Since I added this one it's the one that my friends and family stop to admire the most. It's an amazing work of art. 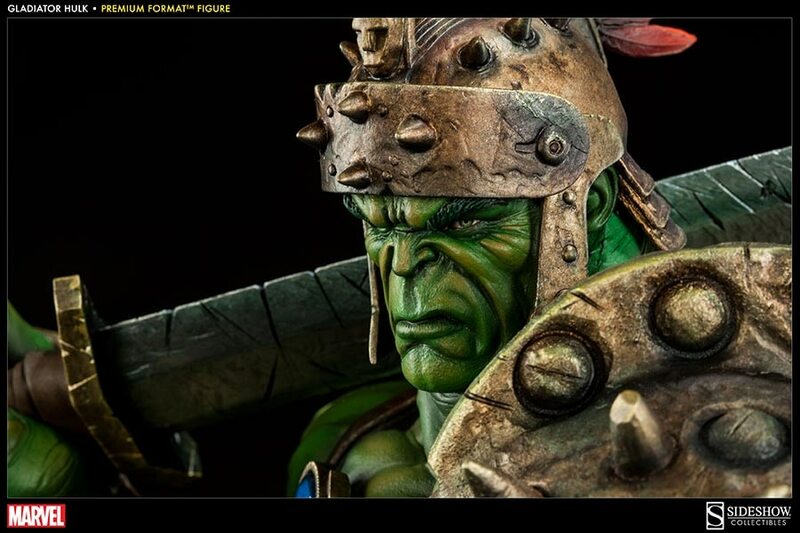 Sideshow has out done themselves again. 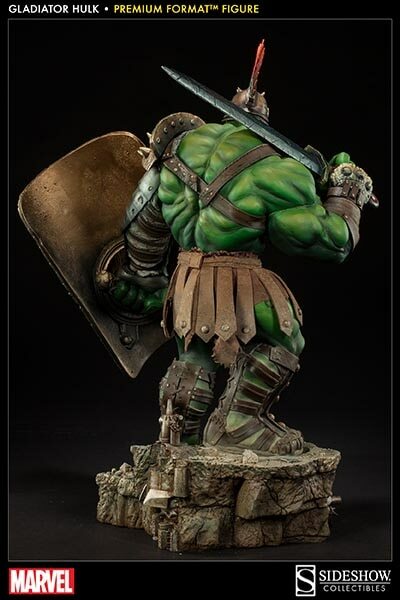 This is the pinnacle of Hulk statues. 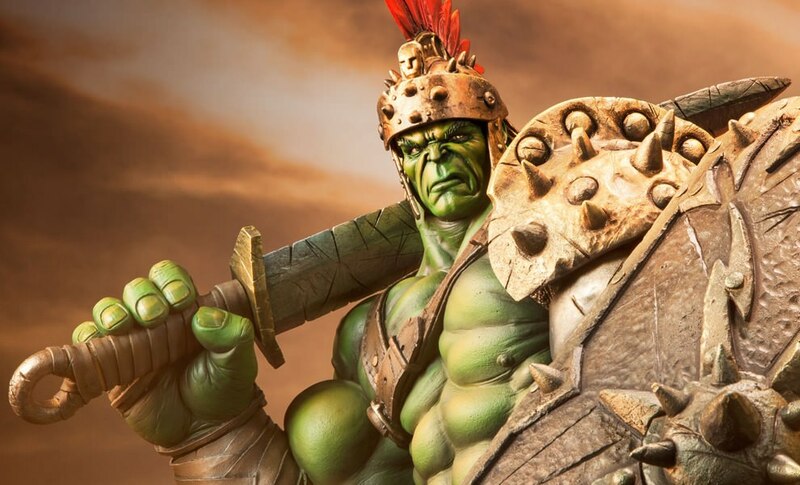 When I decided I needed a statue of the Hulk there was no choice but to get the best of the best and Sideshow delivered. I could not be happier with this unbelievable work of art. This is definitely my new favorite Hulk!! Absolutely gorgeous!! This piece came in perfect condition. 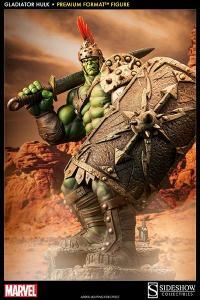 The wonderful folks at Sideshow have put out a Hulk worthy of smashing the competition!! This is a very impressive statue. Immaculate paint and detail. Amazing piece. 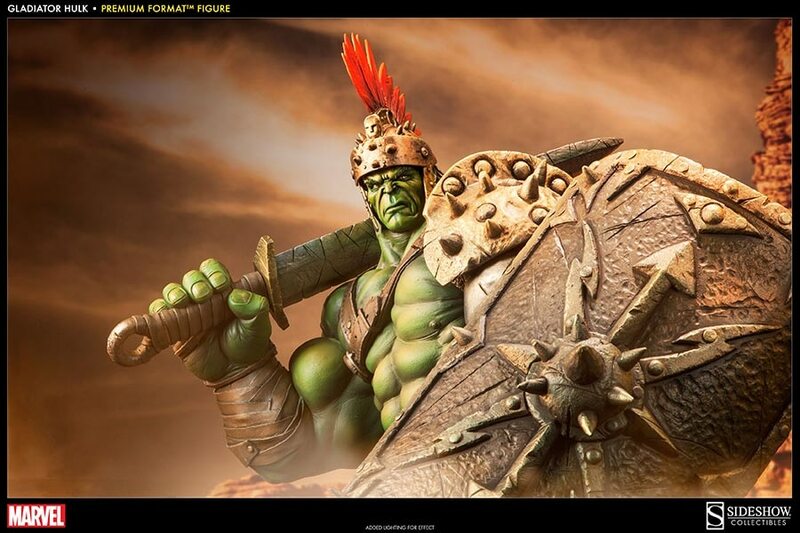 Now I just have to wait for the King Hulk to arrive to complete the set.